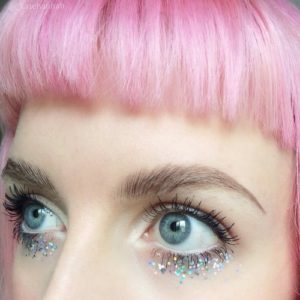 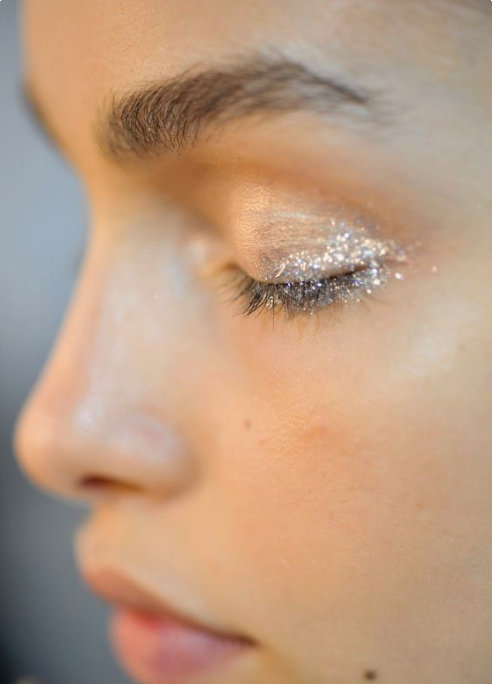 Creative Ways to Wear Glitter Makeup from Subtle to Super Glam! 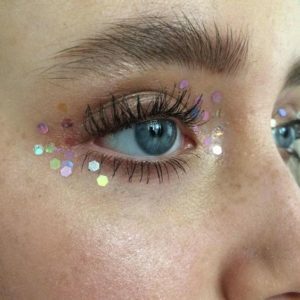 A fresh face of makeup is pretty. 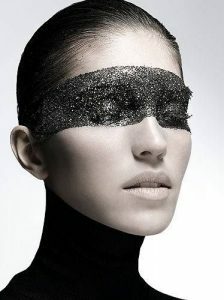 A fresh face of makeup with glitter eye shadow dabbed across each eyelid is fabulously awesome. 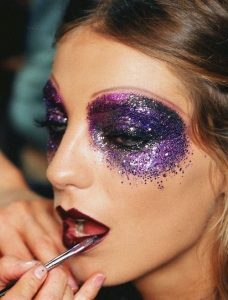 You can achieve this with a pressed Glitter from a palette or loose Glitter dabbed over the Glitter Girl Primer Gel. 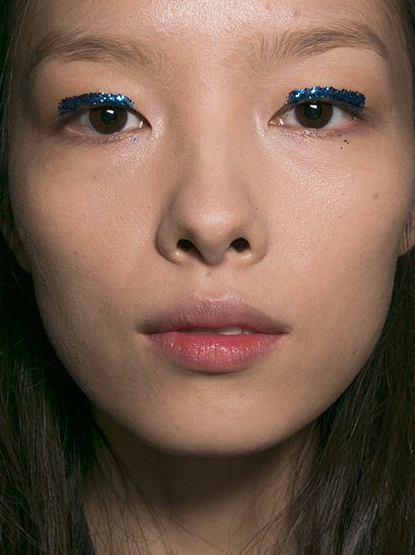 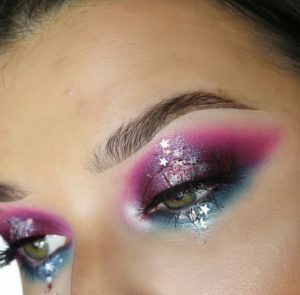 If you’ve never thought of glitter as soft, then this look might convince you otherwise. 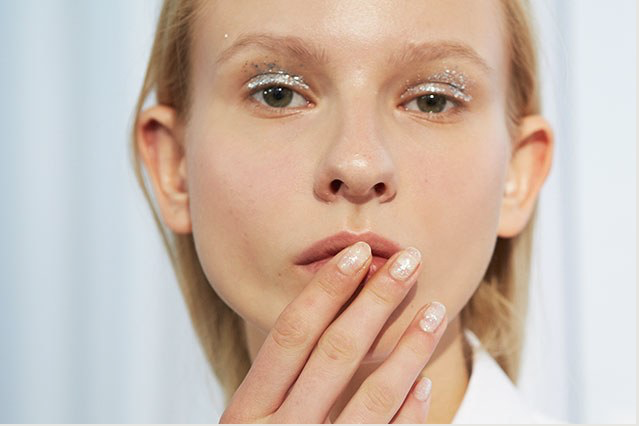 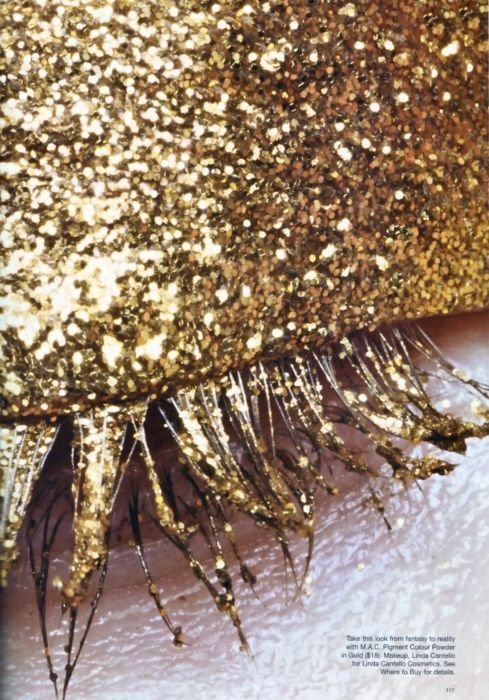 While models’ eyelids and nails appeared to have been tapped by Tinker Bell’s wand, it was actually silver glitter on the eyes and the very same loose glitter added to nail polish in Sparkle on Top. 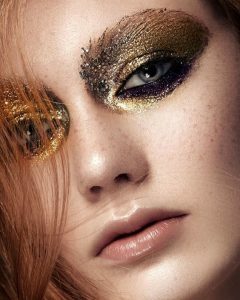 For a subtle effect (as subtle as glitter can be, anyway) consider your complexion: Silver shimmer is best on fair skin, gold on olive skin, and bronze on dark skin. 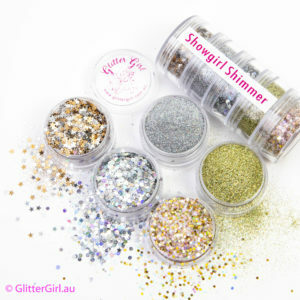 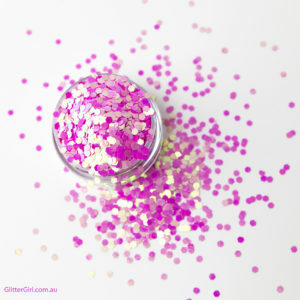 Spread the Glitter Primer Gel over your entire lid and up to the brow bone, then brush a light coat of loose glitter on top. 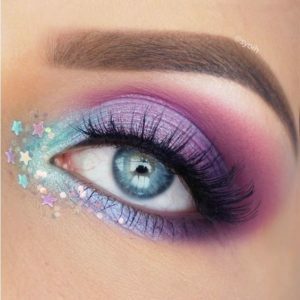 Trace over the lash line with a second coat of glitter for this gradient effect. 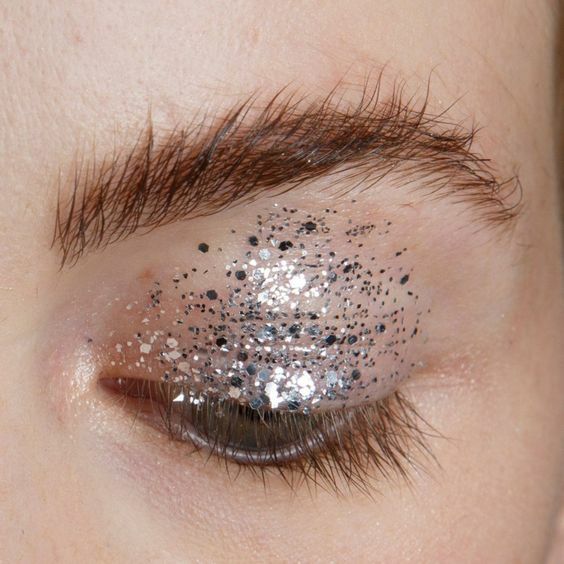 If Cleopatra had access to glitter, we imagine this would have been her Saturday-night look. 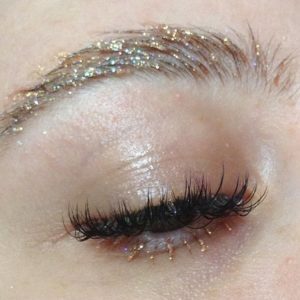 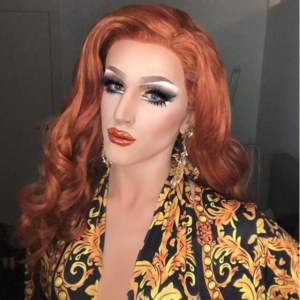 At Creatures of the Wind, makeup artist Aaron de Mey drew a punky, thick wing all the way out to the temples, then brushed gold shadow mixed with loose gold glitter up to the brows. 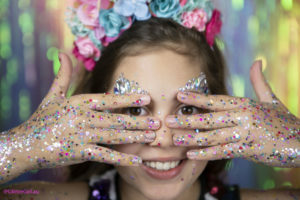 Even though it looks like a preschool project gone wrong, this smattering of glitter feels so right — probably because it’s the most fun thing ever. 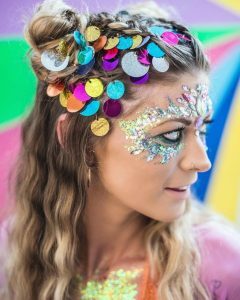 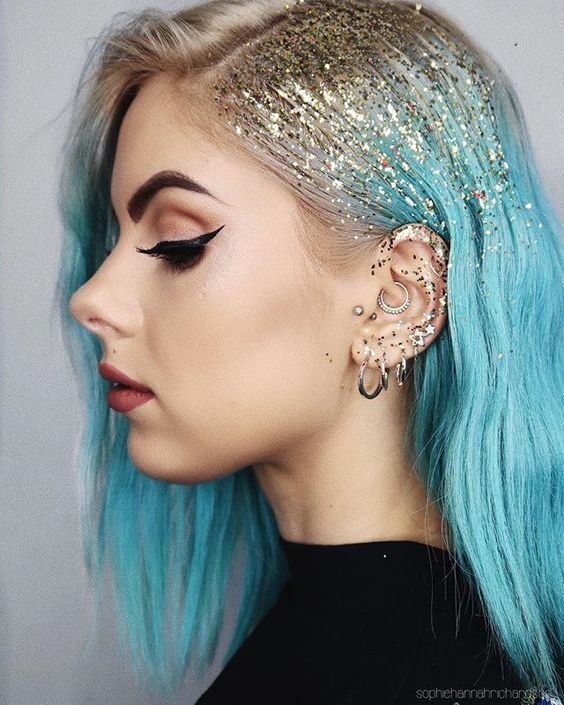 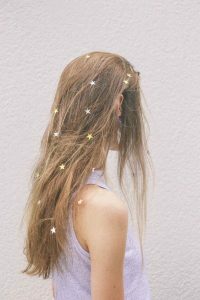 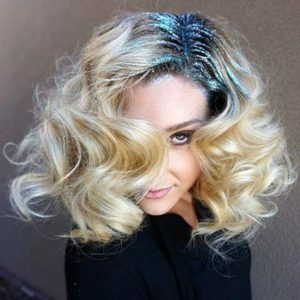 If you’ve got the guts (and the occasion) to sprinkle glitter over your head, make sure they stay put in your hair by sealing them with a blast of hair spray before and after application. 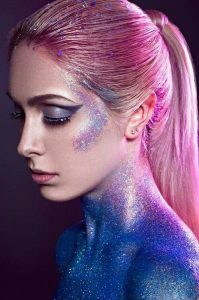 There are no rules when it comes to Creativity! 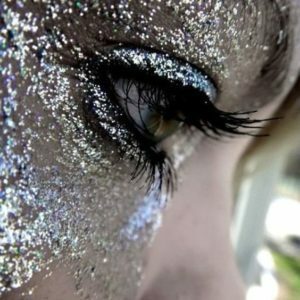 Be you, be fabulous! 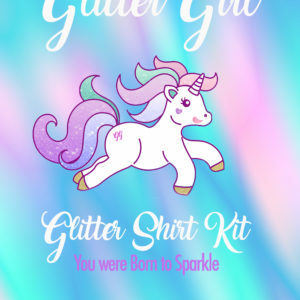 GG loves you and you were born to Sparkle! 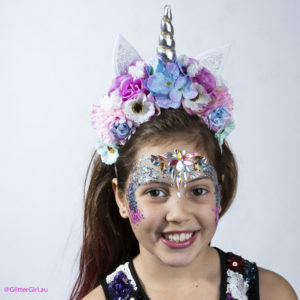 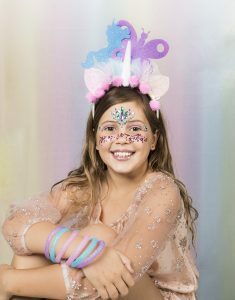 Previous Previous post: GOLD COAST’S FIRST EVER UNICORN FESTIVAL!